Synchronize your business operations with a highly accurate and reliable NTP clock. Can be synchronized with any local NTP server. Can use PoE (Power over Ethernet). Robust exterior made of powder coated mild steel. Manufactured in the United Kingdom by Galleon Systems. Accurate time is an essential way of ensuring your business operations are effective and productive. Whether it’s a warehouse that needs to stick to strict manufacturing times or a school in which break times need to be exact, accurate time means your business and employees are always synchronized. 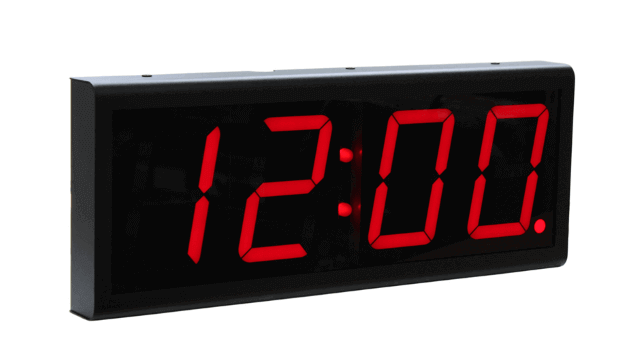 The four-digit, SignalClocks NTP clock by Galleon Systems provides highly accurate time in any indoor environment. Installation and operation is easy. synchronize and power your GPS clock through a single Ethernet cable, or alternatively, use a standard power source. 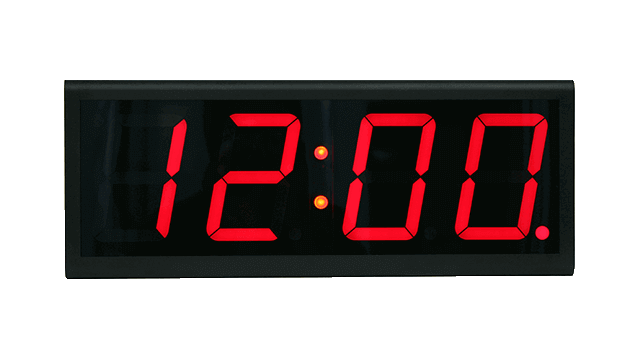 Compatible with any internal or external NTP server, the NTP clock updates regularly and automatically to ensure the time it provides is accurate and consistent. With visibility of up to 23 meters, you can place your four-digit PoE clock in a convenient location where all staff can receive accurate time. A durable exterior made of powder coated mild steel also makes it suitable for tougher working environments, such as warehouses and manufacturing plants. Manufactured by Galleon Systems with over 20 years of experience in accurate time solutions, your internet NTP digital clock comes with lifetime technical support for added peace of mind. Each clock comes with lifetime after sales support and a 1-year warranty. 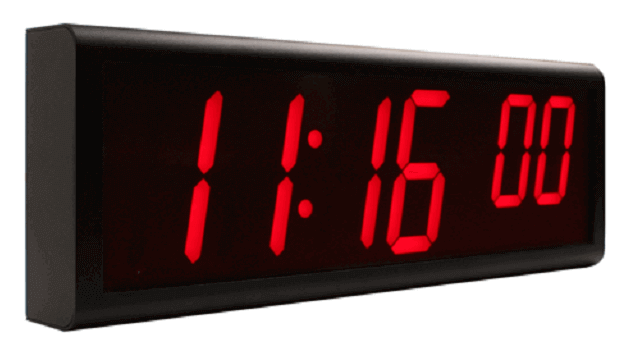 4-digit clock that synchronizes with an NTP time server to display highly accurate time. NTP clock that uses Power over Ethernet (PoE) to synchronize with an NTP time server for accurate time. 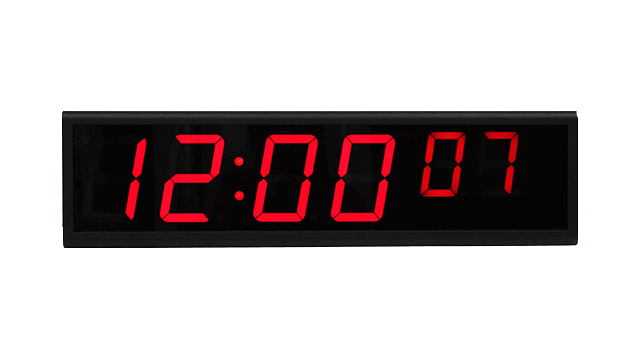 6-digit clock that provides highly accurate time when synchronized with any internal or external NTP time server. 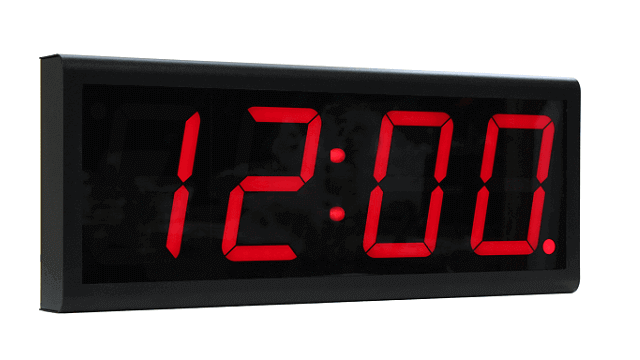 NTP clock that displays highly accurate time when synchronized with an NTP GPS time server. NTP clock that’s easy to mount on any wall, displaying highly accurate time throughout the premises. Power over Ethernet clock that can be synchronized and powered through a single Ethernet connection for accurate time.